If you own a Telecaster, you probably know that it’s truly a special guitar with a particular sound which is hard to replicate with any other instrument. Since its introduction in 1951 by Leo Fender, the Telecaster’s unique twangy sound has been reshaping rock ’n’ roll scenes all over the world. Many famous guitarists, like Keith Richards of The Rolling Stones, are known for using Telecasters to make some of their most iconic records. Why Bother Changing the Stock Pickups? Even though the Tele sound may be perfect for some, others feel like it could use some corrections. 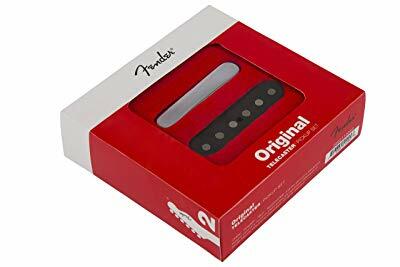 And, while certain guitarists prefer to replace one of the single coil pickups with a humbucker, others take a slightly less extreme approach by replacing one of their stock pickups with an aftermarket one that gives them a different sound. If you’re looking to add a modern twist to the classic Tele sound, upgrading your pickup can be a great option. However, not many Tele pickups are able to emulate the classic twangy sound, and with many manufacturers promising that, it can be easy to become lost and make the wrong choice. To guide you through the process, I’ve chosen some of the best Tele pickups on the market that are sure to provide you with the classic Tele sound. Here are my favorite Tele pickups that will give you the distinguished bright sound Telecaster is famous for. It would be almost impossible to talk about Tele pickups without mentioning at least one Fender product. So here it is – the only Fender pickup on this list that certainly deserves its place for its classic 60s Tele tone with superb bite and twang. It features a signature single-coil clarity you will be hard-pressed to find in any other pickups. The best thing about these pickups is the noise cancellation – their Alnico V magnets and enamel-coated magnet wires make them almost as silent as a humbucker. If you own a Tele, you probably know how precious this feature is, as it can be quite hard at times to overcome hum, especially with the distortion cranked all the way up. Fender managed to completely eliminate this without compromising the classic Tele tone. This pickup is a great choice for heavier sounds, as you can increase the gain without getting any hum. While Tonerider isn’t very renowned for their pickups, their Telecaster pickups provide some great sounds at a reasonable price. In fact, their Telecaster series is among their best-selling products and for a good reason – they sound surprisingly good, and can go toe-to-toe with some of the top-tier brands. 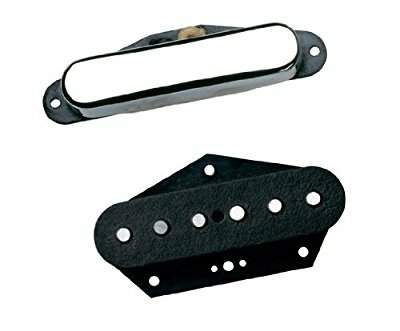 The overwound Alnico III magnets can be found in both the bridge and the neck pickup, giving them an edge that makes these pickups perfect for rock or blues guitarists. Both pickups are really well-balanced, while the bridge actually features a fat midrange that you are unlikely to find in stock Tele pickups. 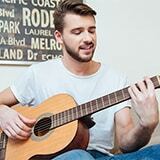 However, the tone rarely gets muddy – tone separation is nice and crisp even when playing chords. Don’t let its low price tag fool you – the Tonerider TRT2 is a very well-made product that will give you the classic Tele tone with a strong punch. When he was looking for a pickup that would make his touring guitars sound like his favorite ’52 Telecaster, Jerry Donahue turned to Seymour Duncan. What they came up with to please one of the Telecaster pioneers was a warm lead pickup with clear, crisp highs and warm lows. It features Alnico II magnets which give it vintage lead tones along with a lot of sustain. Single notes are sweet and crisp, while the low notes balance the tone out with a snappy Tele punch. 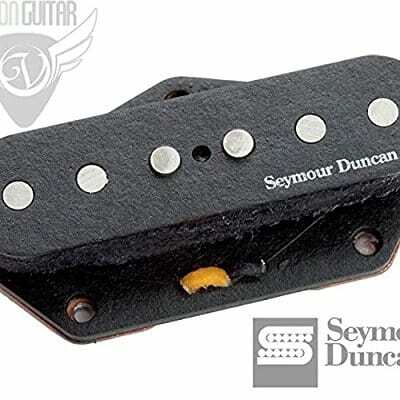 Like the DiMarzio Twang King, this pickup is also wax-potted, which eliminates squealing and feedback. If you’re a Jerry Donahue fan, this should be a no brainer, especially since this pickup achieves a sound almost identical to his vintage Tele. However, even if you don’t follow Jerry’s work (or you don’t even know who he is), this pickup delivers a great Tele sound with Seymour Duncan build quality and reliability. With a long history and an impressive track record, DiMarzio is one of the most popular brands when it comes to direct-replacement guitar pickups. As for their Twang King, the name says it all – this pickup delivers a true Tele twang, while also providing you with a wide dynamic range. It brings a fat, bluesy sound with none of the muddiness you’ll find in cheaper pickups. The thing that impresses me the most about these pickups is their response to pick attack: light playing and finger picking produces a quiet, soft tone, while hard picking creates a louder dynamic sound close to that of a Stratocaster. Both the neck and the bridge pickups are wax-potted twice for squeal-free performance. The neck pickup comes with a nickel or gold cover, both of which look pretty sleek, but the gold one is a personal favorite of mine. The bridge pickup features a good base plate which gives you great lows but a surprisingly muddy bass. These reissued Pure Vintage Tele Pickups are among the easiest ways to transport your Telecaster back into the 1950s. This magnificent set brings some of the finest vintage Tele tones available today. Being true to their ‘50s legacy, these pickups have that classic single-coil hum. The pack includes a pair of AlNiCo III pickups with period-correct wiring and fiber bobbins. The magnet wire is enamel-coated for that classic vintage sound. For a balanced response of the strings, the pickups come with flush-mounted pole pieces. The bridge pickup (7.2Ω impedance) comes with a steel base plate with copper plating. The Lipstick pickup in the neck position has a 6.6Ω impedance and a classic nickel-silver cover. These pickups fit every Telecaster model made under Fender and Squier brands. Tools needed for the installation are included in the package. If the classic 1950s Telecaster twang is your thing, then you might want to give these great pickups a chance. The granddaddy of solid-bodied electric guitars is truly one special guitar. Accordingly, it comes with a set of special pickups. The classic Telecaster setup includes a pair of single-coil pickups - a slanted open-pole pickup in the bridge and a Lipstick pickup in the neck position. Here’s a brief explanation of what makes a Tele pickup. Starting from the bridge position, we have a seemingly regular single-coil bridge with open-coil construction and slanted positioning. Though similar to other single-coil pickups, a Tele pickup is shaped to fit the cavity of the classic “Ashtray” bridge. Aside from that, a Tele pickup comes with a metal baseplate through which it is connected to the bridge. Thanks to the pickup’s slanted position, the pickup poles on the treble side are closer to the bridge. This gives Tele its signature twang and brightness. In the classic setups, the bridge pickup is significantly stronger than the neck pickup. 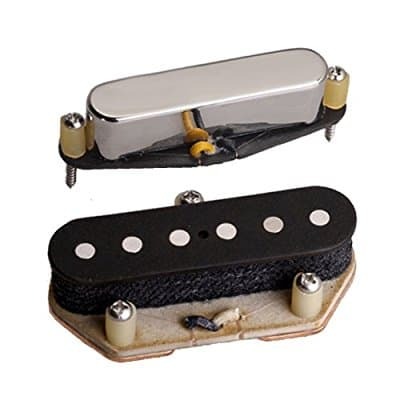 The neck pickup is notably smaller than a standard-sized single-coil pickup and features a cover (most commonly made of nickel-silver or chrome) which gave it its popular name – Lipstick pickup. The pickup has thinner wire and smaller bobbins compared to its bridge-positioned sibling (or a generic single-coil pickup). Owing to its size and weaker output, Tele’s neck pickup usually sits closer to the strings. It gives a milder, quieter tone. Also, the pickup cavity on a standard Tele’s scratchplate is shaped exactly to its size. When looking for the best pickups, you’ll often hear that they have different types of Alnico magnets. For instance, the Fender pickup on my list features an Alnico V. But, what does this mean? 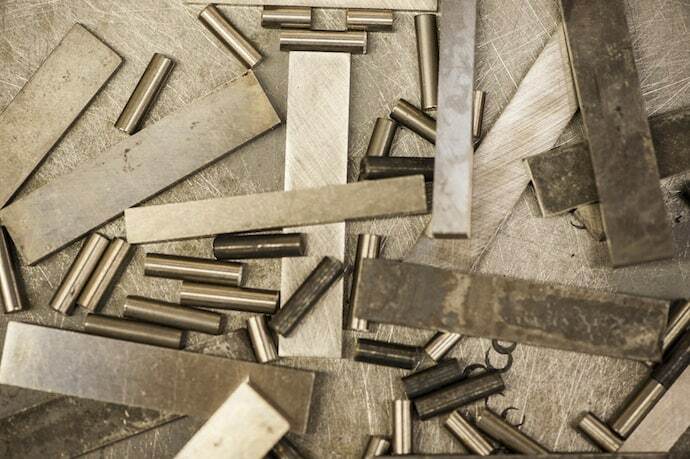 Alnico is a magnetic iron alloy with added aluminum, nickel, and cobalt (Al+Ni+Co, therefore Alnico), and the different types refer to different percentages of these elements in the composition. These different percentages affect the Alnico magnet’s strength, which then affects the tone you get from a certain pickup. Here is a brief overview of different Alnico magnets. Alnico II – usually generates richer mids, soft highs, and warm low end. It tends to sound a bit darker in the neck position, and it’s the second lowest strength magnet. Alnico III – the lowest in strength, generates more treble than an Alnico II and has a softer but tighter low end. Sounds great in the neck position and can be found in many P90 pickups. Alnico IV – generates flatter spectrum, really lets the guitar’s true character shine through. Can sound a bit bland in a Fender, since Fender guitars sound somewhat thinner than perhaps a Gibson or a PRS. Alnico V – the strongest of all types, but generates more output and features tighter low end and sharper treble as a result. Works great in low-wind neck pickups. None of these magnet types is particularly better than the other – it really all comes down to personal preference. Try all different magnets and figure out which sound you like the most. Over the years, Tele players have experimented with countless aftermarket pickups and pickup configurations. Some of them have become so popular that Fender began including them in the official Telecaster series. Here’s a brief overview of the most popular ones. Single-coil in the bridge with a humbucker in the neck position is still among the most popular modifications. It was popularized by the legendary Keith Richards back in the ‘70s. This configuration is most prominently used on the Vintage Modified series of guitars. Dual P-90s were the early solution for players who wanted more power and greater sustain. Like with the previous variant, significant body modifications were necessary to accommodate the bigger pickups. Gibson’s P90s were the most commonly used pickups. Nonetheless, this modification also made its way into the official Fender catalog (Modern Player Telecaster Thinline models are the most popular options with P-90s). Lastly, the dual humbucker setup was chosen by players who wanted the power of the P-90s but without the single-coil hum. Extensive body modifications were required to enable the H/H setup on a Tele. The most popular official models with this configuration include the Telecaster Deluxe and Telecaster Thinline. Remember – while Telecaster pickups give you a specific warm and twangy sound, they usually produce some background noise, known as the “60-cycle hum”. You can hear this noise when playing on high volume or when plugged into a very powerful amp. If you can’t live with this noise, you should probably go for noiseless pickups, or invest some money and rewire your guitar to use a humbucker, if you can't get your hands on SC-sized humbuckers. Upgrading your Tele pickup with any of the pickups on this list is a great way to improve your sound while preserving the signature Telecaster tone. However, keep in mind that, while factors like magnet type, installation, and price are important, the tone and overall feel should win you over. Finding the pickup that fits your playing style perfectly is a difficult task, but the final result is very rewarding.